You Need an Online Availability and Booking Calendar! 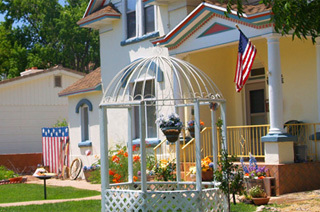 Bookerville has the best features for the best price. Now more than ever: your online booking needs to be easy to use - not just for you, but for your guests! Impress your customers, eliminate double-bookings, and save yourself time: automate your vacation rental business with Bookerville! Integrate into Your Website - embed your Bookerville public availability & booking calendar directly into a page on your own website. Custom colors and header banners can match your site perfectly! Integration with PayPal and other online payment gateways - can be integrated into your PayPal or Authorize.net account, or any online payment gateway that provides real-time notifications of completed transactions. Customers pay you directly! Easy To Use! Clean, modern, professional, easy-to-use interface for both you and your customers. Offer custom, value-added upgrades which are presented to customers during the booking process. Perfect for special meals, wine & roses, or other B&B extras! Set comprehensive minimum/maximum stays: whole-week bookings, special holiday weekends, and more. Custom email templates greatly simplify your correspondence with guests, prospects. 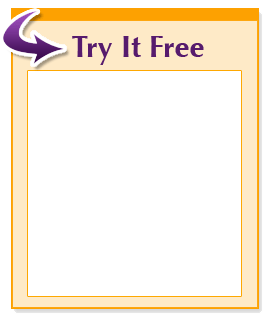 Customize the wording, and use your own header graphics, photos, & images! Choose to require a pre-payment from guests - booking fees, security deposits, flat fees, or percent of the total due. Multi-Room Search: You and your guests can select dates on the calendar, and see which rooms are available and what they cost. Check out our Features & Pricing to see how we can make managing your Bed & Breakfast easy, affordable, and appealing to your guests! The Master Calendar page on the Dashboard shows color-coded bookings at-a-glance. 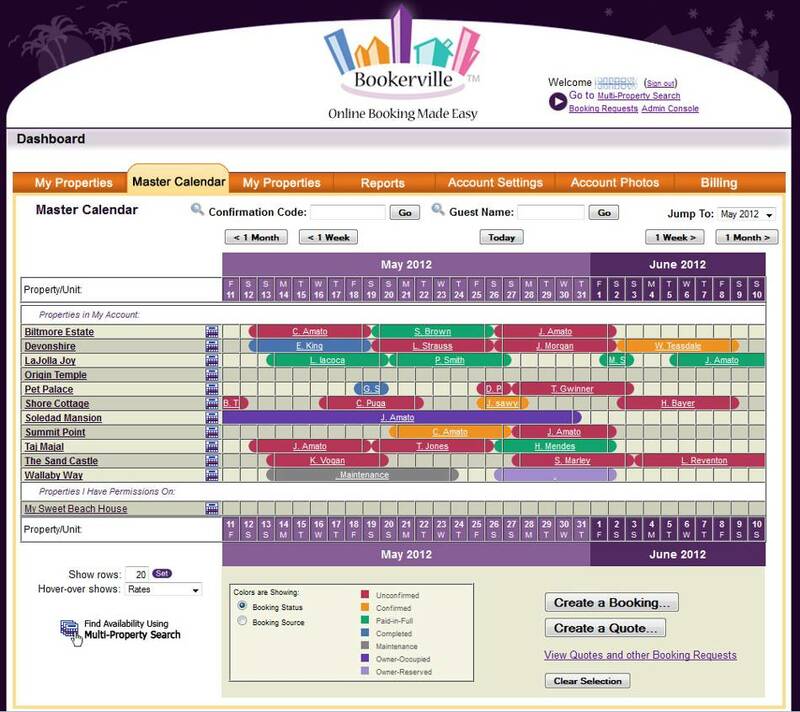 See how Bookerville can help you get a professional availability calendar and reservation request system built into your website quickly, easily, and for as little as $49.99 per year. That's less than $4.20 per month! Fully-Loaded only $74.99 per year! It usually takes less than 30 minutes to get your calendar up and running. Take advantage of our free, no-obligation 30 day trial! Our comprehensive set of short How-To Videos will walk you through the features! Contact Us to assist your set up - we're here to help! Want to see the calendar in action?